Whether you are moving across the country, or just across town, the whole process can be very stressful. If you have children they could quite possibly feel that same stress and anxiety as well. For younger kids the house you are moving from may well be the only place they have called home. Here at Skyline Moving, we want your whole family to feel at ease during this time of transition. 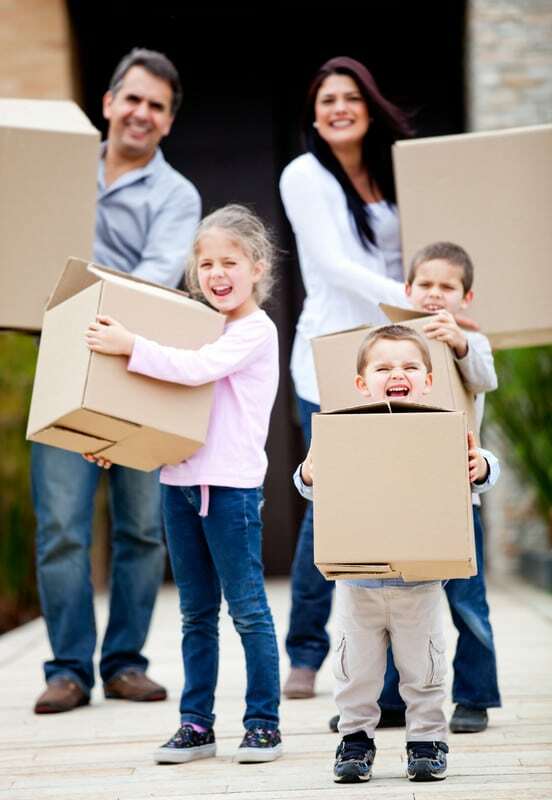 We have compiled this list of tips for you to read through to help your little ones with your upcoming move. Prepare your kids for what to expect: Most kids, especially the younger ones, might not quite understand what is going on and why they have to move. Make sure to take time to sit down and talk with your children. Explain to them why you are moving and talk about all the fun new adventures you will have as a family. Let them know it is ok to feel nervous about this and that you are there to talk to them whenever they need to. Consider purchasing a few age appropriate books on moving to read to your kids as well. A couple that we recommend are “The Berenstain Bears’ Moving Day” and “My Very Exciting, Sorta Scary, Big Move” . Take your children’s concerns seriously: Even though you will be quite busy during this time with packing, making new arraignments and work, keep an eye on how the kids are feeling. Even if you aren’t able to accommodate their wants or requests, make sure to respect their feelings and explain what is going on and what is going to happen in the near future. Let them be a part of the moving experience so they feel more involved. Let them help: Have your kids help with as much as they are able to. Explain to them that all of their stuff that is being put into boxes is just being moved to your new house. Set aside a box that they can put any really special toys or items into that won’t go on the moving truck. Let them take that in your car with you when you head off to your new place. After complete the move: Once you have all your belongings in your new home and are starting the unpacking process, consider starting with the kids rooms. Try to get everything set up and unpacked in their space first to help them start gaining a sense of normalcy again. This should help them settle in a little quicker, and give you more uninterrupted time to work on the rest of the house!